Lord Alan Sugar rarely talks about his early career as a government statistician. The business tycoon, political advisor and curmudgeonly star of The Apprentice considers his time pushing paper at the Ministry of Education a bore. However, new research suggests that honing his statistical mind may have been a vital step on his path to success. Confidence is key to making decisions, whether ordering a meal or buying a house. New research published in Neuron on May 4 suggests that this feeling is inextricably linked to our “inner-statistician.” Our brain constantly processes real-world data and performs objective statistical assessments. The result of our quick calculations translates into the feeling we call confidence. There are two definitions of confidence: the subjective human emotion and the concept used by statisticians. Previous studies have shown that humans make decisions using rules of thumb and general approximations. Often described as 'gut instinct', our brain takes shortcuts to reach a decision rather than sweating over the details. Conversely, the scientific concept of confidence is a quantifiable figure. Used in statistics, it's an objective calculation drawn from sampling datasets, which expresses researchers' degree of certainty in their findings. Adam Kepecs, the study's lead author and a neuroscientist at Cold Spring Harbour Laboratory in New York, argues the subjective emotion and the objective statistical calculation are intuitively related. "Whenever we make decisions, we need confidence," he says in a press release. "If we did not have an accurate mechanism for confidence that is usually right, we would have difficulties in correcting decisions or placing bets." To find out just how intertwined the two concepts are, Kepecs and graduate student Joshua Saunders created video games to compare human and computer performance. They enlisted volunteers to listen to streams of clicking sounds and figure out which of the clicks were faster. The participants rated their choices on a scale of one (random guess) to five (highly confident). Kepecs found these self-reports matched the computers' confidence in their own statistical predictions. These findings may tell us something about one of Britain’s most famous entrepreneurs. 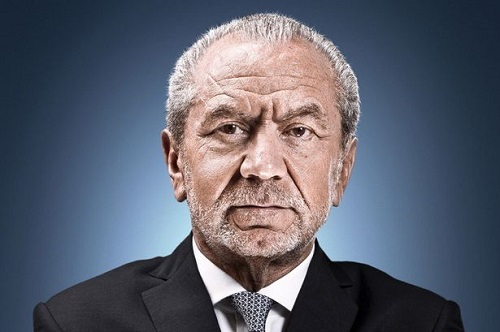 Lord Sugar has often stated that he trusts his gut; a job that required him to make predictions based on data and leave a margin for error may have helped refine his instincts. His training may have informed the carefully calculated business decisions that took him from a humble East London upbringing to a reported net worth of over £1 billion. For instance, he sold consumer electronics company Amstrad for £125 million in 2007. Now it's his real estate empire Amsprop that's bringing in the cash. His clever property investments are considered to be the main reasons he's £110 million richer than in 2015. Lord Sugar radiates confidence and self-assurance, but he'll know better than most that statistics carry a degree of uncertainty. His inner-statistician dropped the ball when he incorrectly predicted the iPod would be dead by Christmas 2006. It must have been a big blow to his confidence when T3 ranked it as one of the worst technology predictions in history.